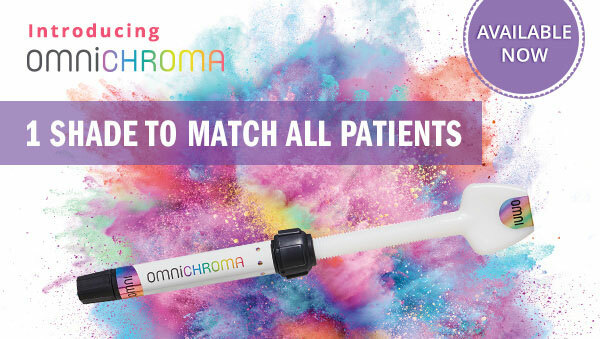 OMNICHROMA is the world’s first universal composite that matches every patient with a single shade. 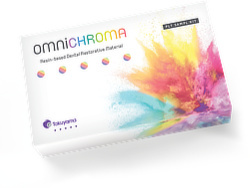 Innovated to color-match like you’ve never seen before, Tokuyama’s unique dental composite is formulated to match every smile from A1 to D4 with just one shade of composite. Try it yourself, request your sample today! *Limit one sample kit per doctor. While supplies last. Offer valid until 6/30/19. Please allow 2-4 weeks for delivery of complimentary goods. Offer valid in US and Canada only. For evaluation purposes only. Participating doctors or dentists are obligated to properly report and reflect any bonus product, rewards, rebates, discounts or other benefit they receive on their submissions to Medicare, Medicaid, state or federally funded healthcare program and/or private insurance. • Unsubscribe from the Restoratives Insider.